← A Sandakan Christmas, 1943. I have to admit that I do have memories of one New Year’s Eve where I was not only drinking scotch, but eating haggis as well. Tinned haggis, mind you. It’s the sort of menu that turns your stomach a bit when you’re sober. 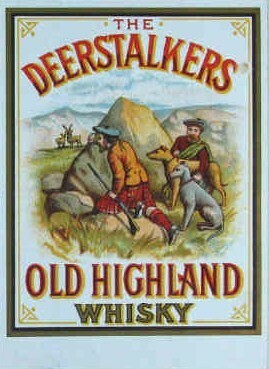 So now that I’ve got that tinned haggis confession off my chest, I’ll just quickly post some scotch whisky labels from the National Archives’ copyright collection. These were for spirits that were imported into Australia by wine and spirit merchants. The label designs went all out to impress upon buyers the drink’s Scottish heritage. Over a century later, it’s impossible to know whether or not the whisky itself was any good. And because I couldn’t resist, I did a quick search for ‘haggis’ on the National Archives database, RecordSearch. 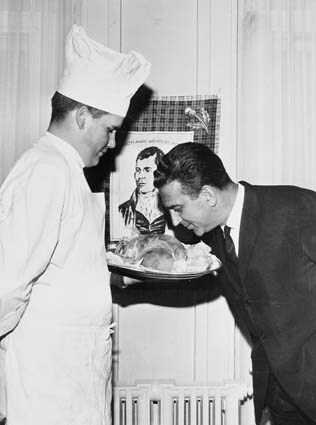 I mostly found people with the surname Haggis, but here is a picture from 1967 of a Senator Campbell harking back to his Scottish roots and taking a big admiring sniff of a haggis. No tinned haggis for this man! 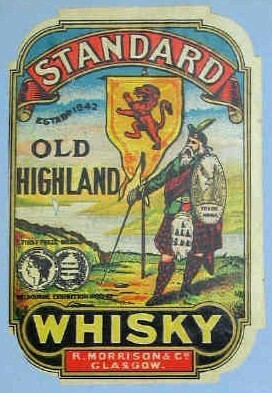 This entry was posted in 1900s, 1960s, copyight collection and tagged haggis, new year's eve, scotch whisky. Bookmark the permalink.